You can find these at MMOC later in the day. The data so far indicates Firelands being pushed back yet again and more daily and group questing zones added. These will likely include guild quests by release, adding yet another way to earn guild reputation outside of raiding. Many of these quests take place on and underwater with more vehicle interaction than in previous daily quest zones. Many achievements are now visible account wide on the new Account tab of the Achievements interface. These may become Battle.net account wide in the future. Doctor, Who Am I? - Complete the Doctor Dennant Tavid quest line, up to and including What an Ood situation. Diamonds All the Way Down - Defeat Maisah Iustafa before running out of air in the Forsaken Harbor. Boating Frenzy - Complete 200 Daily Quests in the Shattered Oasis. We've Got This, Right? - Escape Herobrine in under three minutes. That's a Nice S-s-s-sub You Have There - Avoid the underwater mines while completing the Race for Nautilus. 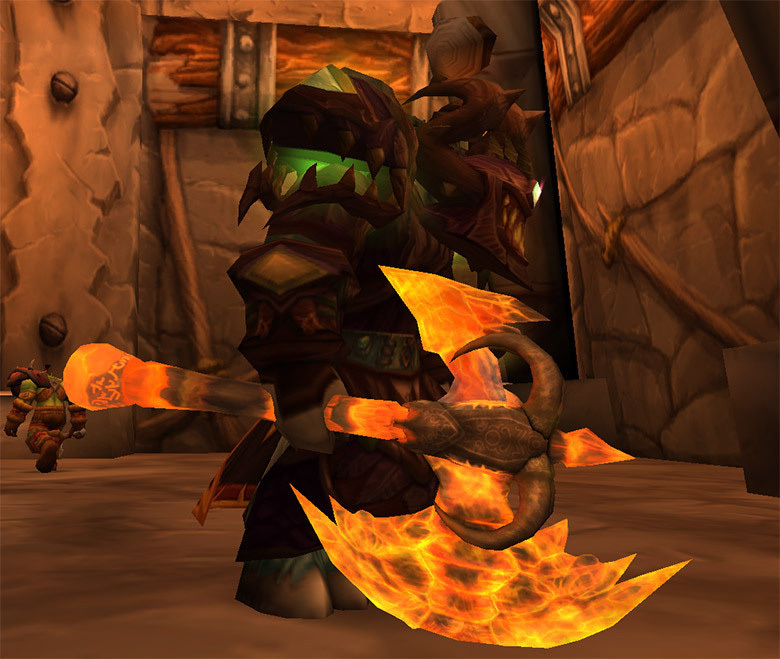 A new Archaeology tanking weapon has been added. Many epic quality "Bind on Pickup" items are now labeled as "Battle.net Account Bound", meaning that they can also be traded or mailed to characters that are on different World of Warcraft accounts under the same Battle.net account. Thanks to supora for providing this footage. Thanks to bonklenocho for providing this footage. It was indeed an April Fools!